When you’re dissolving a solute in a solvent, it makes a solution. 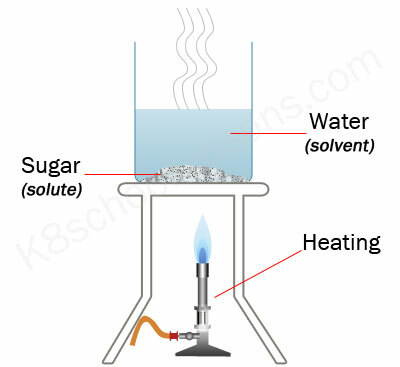 For example, when you stir some sugar (solute) in water (solvent) it turns into a mixture, called sugar solution. Dissolving is a very important process in our day-to-day life. In cooking, making tea, coffee or juice, washing your clothes or dishes and in many more activities we need to dissolve some sort of solute in a solvent. For example, in washing, it is important that soap or washing up liquids dissolve in water and in making a glass of orange juice, it is important that sugar and the juice of the orange dissolve in water. So, in this lesson we are going to learn how to speed up the dissolving process in order to make things easier to do. How much of a solute dissolves in a solvent? How much of a solute dissolves in a solvent depends on how much solvent you use. 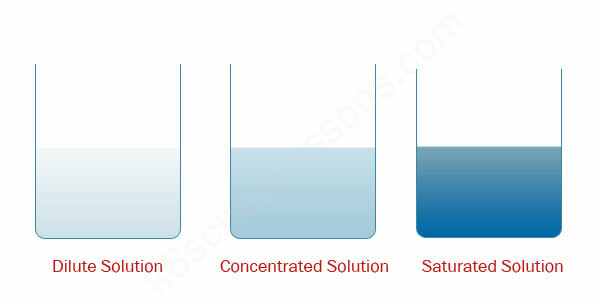 If you use more solvent to dissolve a solute, more solute should be added until the solution is saturated. When will be the solution saturated? When you keep on adding the solute, one time you see the solute will remain undissolved at the bottom of the container. That is the time the solution will be saturated. How can we make more solute dissolve in a solvent? By using a warm solvent. More sugar will dissolve in warm water than in cold water. 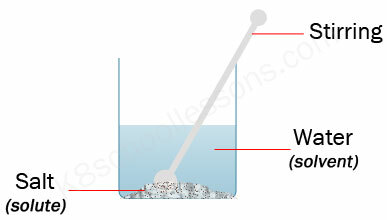 Most solids dissolve better in warm water than in cold water. 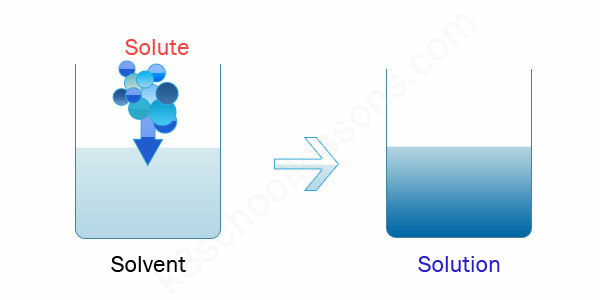 Why more solute will dissolve in warm solvents? When the solvent is warmed, the tiny particles it is made of move faster. This increases the spaces between them so that there is room for more solute to dissolve. Salt is an example of a solute that changes a little when the temperature of water rises. How can we make the solute dissolve faster? 1) We can make the solute dissolve faster by heating the mixture. 2) We can make the solute dissolve faster by stirring the mixture. 3) We can make the solute dissolve faster by grinding the solute before it is put into the solvent. Why the solute dissolves faster if we stir the mixture? Stirring mixes up the particles of solvent and solute so that they are more spread out. Why the solute dissolves faster by grinding the solute before it is put into the solvent? 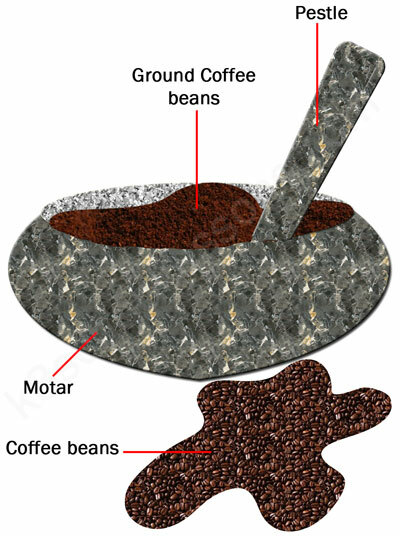 Grinding or crushing the solute increases the area of it which is exposed to the solvent.